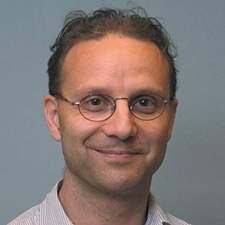 Edoardo Charbon is a Full Professor and chairman of the Applied Quantum Architectures laboratory of the Faculty of Electrical Engineering, Mathematics and Computer Science (EEMCS) at Delft University of Technology. Dr. Charbon received the Diploma from ETH Zürich in 1988, the M.S. from UCSD in 1991, and the Ph.D. from UC-Berkeley in 1995, all in Electrical Engineering. From 1995 to 2000, he was with Cadence Design Systems, where he was responsible for analog and mixed-signal design automation tools and the architect of the company's initiative for electronic IP protection. In 2000, he joined Canesta Inc. as its Chief Architect, leading the development of wireless 3D CMOS image sensors. From November 2002 until August 2008, he has been a member of the Faculty of EPFL, working in the field of CMOS sensors, biophotonics, and ultra low-power wireless embedded systems. He has consulted for numerous organizations, including Texas Instruments, Hewlett-Packard, and the Carlyle Group. He has published over 150 articles in technical journals and conference proceedings and two books, and he holds thirteen patents. He was in the CAS group from 1 Sep 2008 until 1 Jan 2016 when he started the Advanced Quantum Architectures (AQUA) group. Dr. Charbon is currently involved in projects of both MSc and PhD students at AQUA.